As the years have gone by, you may have started to notice your wrinkles getting deeper and the skin starting to slacken around your facial contours. Silicium is a mineral that's naturally present in the human body, particularly the skin where in combines with Hyaluronic acid. Silicium is required for the synthesis of collagen and elastine, yet its amount dramatically diminishes as we age. As such, it becomes necessary to supply the skin with Silicium in order to achieve improved tone and firmness. The Silicium Super Lift Anti Ageing Facial is designed to combat signs of ageing and is recommended for those aged 40+. You'll be amazed at how it can improve your complexion, make lines less noticeable and make your skin firmer. If you're looking for a beauty salon that offers this revolutionary treatment, look no further than Beautiful Souls. Based in Chorley, the salon is widely regarded as the first port of call for those seeking Silicium facials in Lancashire. The Silicium Super Lift Anti Ageing Facial is priced at just £63, which is very competitive. So if you want to defy ageing, but don't want to pay more than you need to for this popular treatment, look no further than Beautiful Souls. Take a look around the website to find out more. Hot stone massage provides a very healing and effective experience for the recipient. The hot stones work to expand blood vessels, encouraging blood flow throughout the body. They produce a sedative effect that has the potential to relieve chronic pain, lower feelings of stress and promote a deep sense of relaxation. If you're keen to reap the benefits of hot stone massage in Chorley, head to Beautiful Souls. This established beauty clinic offers hot stone massage, as well as a variety of other spa treatments, all at highly competitive prices. The team at Beautiful Souls are very experienced and have been providing hot stone massages for a number of years. You can rest assured that the experience will be relaxing and restful. What Does This Massage Entail? Warmed stones will be positioned on parts of your body in order to maximize the therapeutic benefit. The stones used are usually river rocks or other stones with a very smooth surface. They are heated in sanitizing water before use. Made of basalt which has heat retaining properties, they easily stay warm throughout the massage. Take a look around the website to find out more about Beautiful Souls and its various spa treatments. If you have a big event on the horizon and you want to ensure that your nails look their very best, why not invest in a manicure? A manicure is money well spent if you're heading to a wedding, a night out on the town with the girls or you have an important business function to prepare for. It will give you the confidence to display your hands to others without worrying about your chipped or damaged nails. Many ladies head to Beautiful Souls near Leyland when they want a beautiful manicure. The salon offers a range of manicure treatments, including mini mani, luxury mani and Gelish manicure. The team can also provide nail art, which is just 50p per nail. If you already have polish on your nails which needs removing, they can do this for you for a small charge. Having a manicure at Beautiful Souls is a relaxing, enjoyable experience that you're sure to want to repeat again and again. The team will provide a warm and friendly welcome as you enter the salon and you'll be made to feel right at home. Browse the website to find out more about this leading beauty salon near Leyland. Is there an important event on the horizon? Perhaps you're set to attend a wedding, or you have an interview for your dream job? In any case, you'll want to ensure that your nails look beautiful. After all, there's no point getting your hair professionally styled or splashing out on a fabulous new outfit if your nails are only going to let you down. Many people head to Beautiful Souls when they require a fashionable gelish manicure in Chorley. Gelish nails don't just look fantastic, but the polish will remain intact on the nail for at least a couple of weeks with high shine and no cracking, peeling or chipping. Whatever the event that you've got circled on your calendar, you can be sure that your nails will look their very best. Beautiful Souls has fast become the first port of call for beauty treatments in Chorley and has built up a robust client base throughout the local area. Much of its business is won as a result of repeat custom and personal recommendations, and this is very much a testament to the high level of service that the team are able to deliver. Find out more at the website today. Do you spend much of your time running after everyone else? Perhaps you're constantly catering to your boss's demands, or you're a busy mum with no time for yourself? In any case, why not book yourself spa treatments in Chorley? Many people who want to relax and unwind book into Beautiful Souls – a top rated beauty salon located on Lyons Lane. The team at Beautiful Souls provide a wide range of spa treatments, including massage, facials and manicures and pedicures. They have a vast amount of expertise in their field and can ensure that you leave the salon looking and feeling your very best. You'll find yourself returning again and again to be truly pampered! Beautiful Souls is one of the only salons in the area to use Thalgo products, which are used by the best and most prestigious spas and salons around the world. Naturally sourced from different types of algae in the ocean, they work to rejuvenate the skin and treat puffiness, dark circles, fine lines and deep wrinkles. To find out more about Beautiful Souls and its various spa treatments, don't hesitate to take a look around the website today. Are you sick of shaving every day? Perhaps you don't have the time to shave often or you're suffering from skin irritations caused by shaving? If so, it could be time to give waxing a try. Waxing lasts longer than shaving because it pulls the hair from the roots, and you may find that it grows back slower and finer too. What's more, it won't leave you with nasty cuts or nicks or stubble rashes. If you're seeking full waxing services in Chorley, look no further than Beautiful Souls. The salon offering offers various waxing services, including eyebrow shaping, eyebrow tidying, half leg waxing, full leg waxing, bikini waxing, underarm waxing, half arm waxing, lip waxing and chin waxing. The team at Beautiful Souls have been providing beauty treatments to clients throughout Chorley for many years, and are highly skilled in the field. As well as providing waxing services, they also offer Thalgo facials, tinting and lash extensions, manicures, pedicures, gel and acrylic nails and spray tans. You'll receive a professional and affordable service that's second to none. Take a look around the website to find out more about Beautiful Souls and its treatment options. Auricular therapy (hopi candles) can be used to provide relief for a range of conditions, including deafness caused by excess wax, congested sinuses, tinnitus, rhinitis, glue ear, colds, headaches and migraines. The candle acts as a chimney, causing the warm air to rise, creating a vacuum at the bottom. This provides gentle stimulation in order to remove the excess wax from the ear. The treatment is gentle, and most people find it to be a very relaxing and pleasurable experience. If you're keen to try auricular therapy (hopi candles), why not book an appointment at Beautiful Souls in Chorley? Sharleen – the salon's owner – has been carrying out auricular therapy for several years, and has many, many happy clients throughout the area. To see what people are saying about Beautiful Souls and its treatments, take a look at the many positive reviews on its Facebook page. Many people assume that hopi candles will cost a small fortune, but this isn't the case when you visit Beautiful Souls. You'll pay just £21, which is extremely competitive. To book an appointment, call 01257 368146. Or take a look around the website to find out more about this popular salon. Are you in need of a well-earned pampering session? Or perhaps you're looking to treat a friend? Either way, why not head to Beautiful Souls – a top beauty salon in Chorley? The salon is run by experienced beauty therapist Sharleen Roberts. She is fully qualified, having undertaken various training courses over the years, and she has a real passion for what she does. She aims to ensure that every client leaves her salon looking and feeling their absolute best. Whether you're seeking a manicure or pedicure; a relaxing massage to help the stress melt away; or a semi-permanent lashes, you can rest assured that Beautiful Souls can assist. Various alternative therapies are available too, including reiki and crystal healing. Sharleen's services are highly sought after, not just in Chorley, but nationwide. In fact, she has been scouted by Marian Newman and her team, who have worked with a range of big names within the fashion industry. Sharleen's excellent reputation has helped take Beautiful Souls to the next level, ensuring it stands head and shoulders above its competitors. To book an appointment, call 01257 368146. Or take a look around the website to find out more about this popular beauty salon. Are you seeking a beauty salon in Chorley? Then take a closer look at Beautiful Souls. Located on Lyons Lane just opposite ASC, it's very accessible and there's free parking available. Beautiful Souls offers a wide range of beauty treatments to meet the needs of its many clients, including waxing, lash extensions, manicures and pedicures, massage, spray tans and gel and acrylic nails. Whether there's an important date in your diary and you want to look your very best, or you simply feel like being pampered, Beautiful Souls is well worth a visit. Salon owner Sharleen Roberts is an experienced beauty therapist, and she has a real passion for treating every person who enters the salon as genuine royalty. Beautiful Souls offers a range of holistic therapies, such as Reiki and Crystal Healing. Sharleen is a reiki practitioner with over 6 yrs experience, and has gained a certified NFE qualification as a qualified crystal healer/therapist. This leading beauty salon in Chorley is renowned for providing an extremely high level of customer care, so why not book an appointment today? Take a look around the website to find out more about Beautiful Souls. With the weather getting warmer by the day, it won't be long before you're digging your sandals or flip flops out of your cupboard. This means that you're toes will be on show for all to see. Many people choose to treat themselves to pedicure at this time of year. Pedicures won't just make your feet look beautifully groomed and polished, but they also provide a range of health benefits too. If you're looking for a pedicure salon near Blackrod, look no further than Beautiful Souls. The team offer a mini pedicure for £17.50 or a luxury pedicure for £25. An extra £5 will get you a French polish, or why not treat yourself to a gelish pedicure – a gel polish that lasts four weeks on your toes? You'll receive a £5 discount off gelish if added onto a pedicure. The salon has some of the most competitive prices in the area, and so you can be confident that you won't pay over the odds for the treatment you require. Whether you're heading off on holiday and want to beautify your feet, or you simply want to improve their health, a pedicure is a great idea. To discuss your requirements with the salon's owner Sharleen, or to make an appointment, call 01257 368146. Alternately, take a look around the website to find out more about Beautiful Souls and the treatments on offer. Are you looking to relax and unwind after a long week at work? Then why not book yourself a Swedish massage in Chorley? Many people head to Beautiful Souls on Lyons Lane when they want to enjoy a soothing and rejuvenating massage. Sharleen – the salon's owner – is an experienced masseuse and aims to provide all of her clients with highly professional treatments for their mind, body and soul. What's more, because her rates are amongst the most competitive in the area, you can relax in the knowledge that you won't pay over the odds. Swedish massage is intended to relax the entire body, which makes it ideal for those who are feeling stressed or tense. However, this massage goes far beyond relaxation. It's also beneficial for increasing the amount of oxygen in the blood, decreasing muscle toxins and improving circulation and flexibility. If you'd like to speak to Sharleen about your requirements, or want to book an appointment, don't hesitate to call 01257 368146. Alternatively, take a look around the website to find out more about Beautiful Souls and its various treatments. You can expect to receive a personal service that's second to none. Are you looking for Swedish massage in Chorley? Then take a closer look at Beautiful Souls. Owned and run by by experienced beauty practitioner Sharleen Roberts, this popular salon offers a range of massage services to meet your needs. Prices are highly competitive, and you can expect to pay just £20 for a back, neck and shoulder Swedish massage. A full body massage is £35.00. Whether you're booking a massage for yourself or as a treat for a loved one, Beautiful Souls is the perfect choice of salon. Sharleen has been providing massage services to her clients for many years and has a huge amount of skill and expertise at hand. The are many benefits to Swedish massage. As well as providing increased physical and mental relaxation to the recipient, include increased blood circulation, decreased stress and muscle tension, and improved range of motion are experienced too. If you're feeling stressed or burnt out by the demands of modern life, a Swedish massage could be just what the doctor ordered. 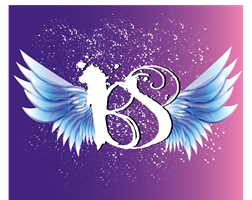 To find out more about Beautiful Souls and the massage services on offer, take a look around the website. Or call 01257 368146 to make an appointment or to speak to one of the team.